Why has synesthesia survived evolution? ~ Health Matters Today! In the 19th century, Francis Galton noted that certain people who were otherwise normal "saw" every number or letter tinged with a particular color, even though it was written in black ink. For the past two decades researchers have been studying this phenomenon, which is called synesthesia. In an "Unsolved Mystery" article and accompanying podcast to be published November 22 in the online, open-access journal PLoS Biology, David Brang and VS Ramachandran strive to bring synesthesia into the broader fold of biology and to the scientific study of the arts through understanding its evolutionary basis. Ramachandran and colleagues have demonstrated that synesthesia is an authentic and repeatable phenomenon, and that it has a sensory basis rather than a high-level mental association. For grapheme-color synesthesia (where colors and numbers evoke perceptions of colors), they suggested that this occurs through cross activation between sensory brain regions concerned with color and number. 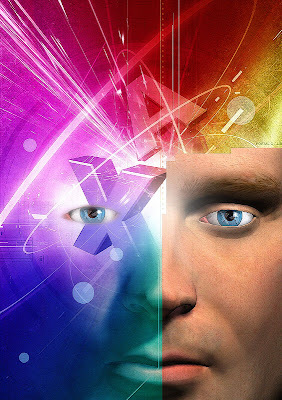 However, showing that the phenomenon is valid and caused by enhanced connectivity in the brains of synesthetes still left open the questions of how and why synesthesia evolved in the population. As Dr. Ramachandran points out, one possible answer comes from the fact that synesthesia is purported to be 7 times more common in artists, poets and novelists than in the rest of the population. Dr. Ramachandran suggests that "if the mutant gene was expressed diffusely throughout the brain (not just in color and number regions) and concepts and ideas are also represented in distinct brain regions, then a more 'cross-wired' brain would have a greater propensity to link seemingly unrelated ideas." This 'hidden agenda' of the synesthesia gene (making some outliers in the population more creative) gives rise to one possibility of why it has survived.